Seize the opportunity. I’ve heard that a time or two. When opportunity knocks, you better answer. Yep, I’ve heard that before too. What happens when you don’t jump on the opportunity when it knocks? It usually disappears. But if you are a believer you know that something else will come around that’s even better. I use this door as a symbol of opportunity showing up at my door. Sometimes I’m the one knocking, and sometimes I’m on the other side of the door. 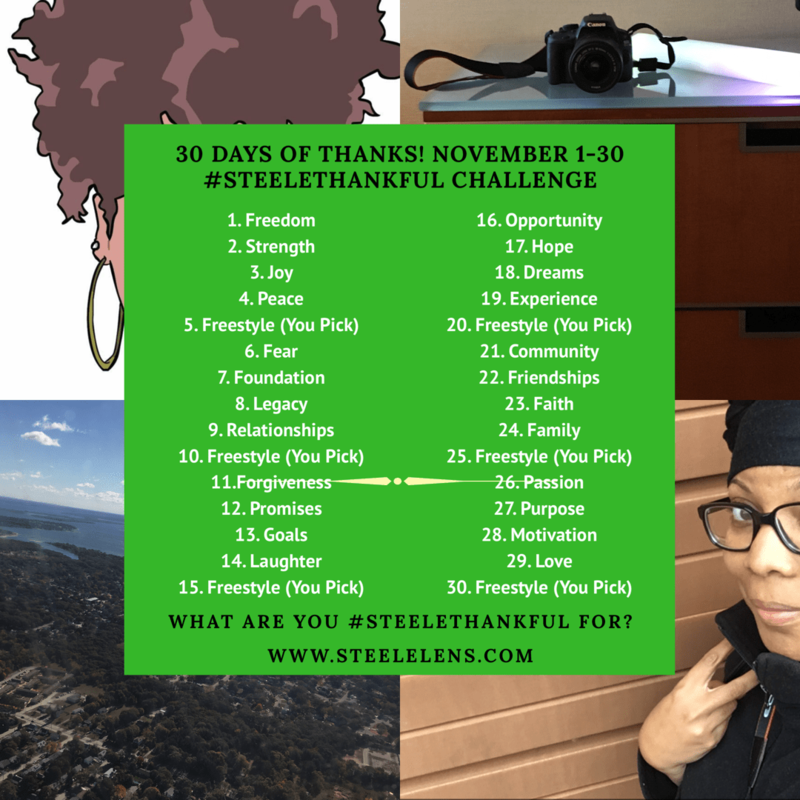 I’m #SteeleThankful for God allowing opportunities to knock at my door, because I know that it’s orchestrated by Him, and in His timing.